Home → News → Students: Help the Library for a Starbucks Gift Card! Students: Help the Library for a Starbucks Gift Card! The Library is conducting usability testing on our website. We are looking for PSU students to help us with testing. 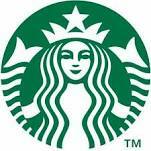 In exchange for 30 minutes of your time, we will give you a $10 gift card to Starbucks. Usability refers to how well our website works to allow you to quickly and easily achieve your goals. We test the website by asking users like you to answer questions using the site. During the session, your voice and the computer screen will be recorded as you “think out loud” while completing tasks on our website. We make improvements to the site based on what we learn from you. For more information or to volunteer, please contact Content and Usability Strategist Sherry Buchanan via email or by phone at (503) 725-3877. Note: you may receive one incentive per calendar year from PSU Library. Contact Sherry for details if you have questions about this.